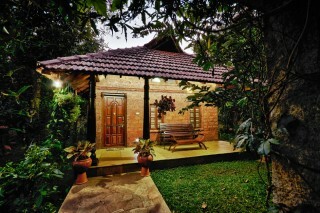 If you are tired of the hustle and bustle of the city and are looking for an escape into serenity, we offer you a luxurious cottage, located in the heart of Udupi district in Mangalore. 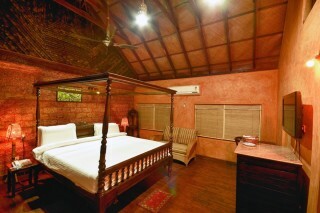 This cottage offers you a stay close to nature with complete luxury and comfort. 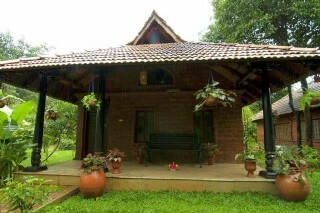 A stoned walkway decorated with flower pots runs through the lush grass and leads to the cottage. The walls of the cottage have a stone accent design along with a clay texture. 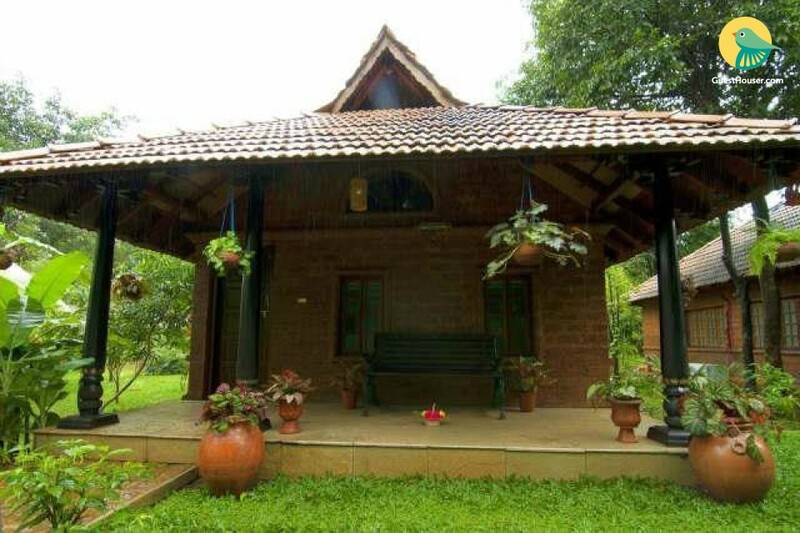 Furnished with a canopy double bed, cane love seat, chest of drawers, a TV to keep guests entertained, and a utility table for additional convenience, this cottage is lavish in design. The flooring has been done with hardwood panelling and the roof has wooden panelling along with a cane finish. 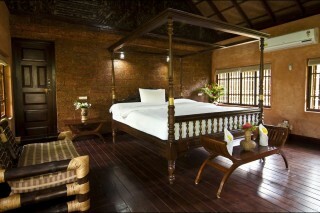 The cottage is air-conditioned, and has been decorated with flower vases to enhance its appeal. 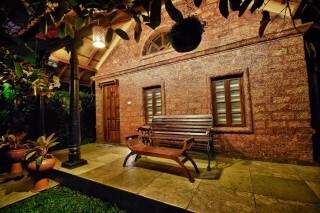 Each cottage has a king-size bed, state-of-the-art LCD television with cable connection which makes your leisure time enjoyable and exciting!The rooms are equipped with furniture, dressing table and ironing boards.